Papercrafts by Patti: Let the Extravaganza Begin! 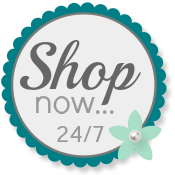 Stampin' Up's Online Extravaganza is now in session! Click Here for a full PDF version of everything that is on sale until November 30th. Then SHOP! Take advantage of terrific prices on product bundles! Do some early Christmas Shopping and don't forget to put some goodies aside for your own! Thank you so much for stopping by today to check out the Extravaganza Details! Act quickly to get going on your Christmas Projects and Cards! Click here to shop online at my store.